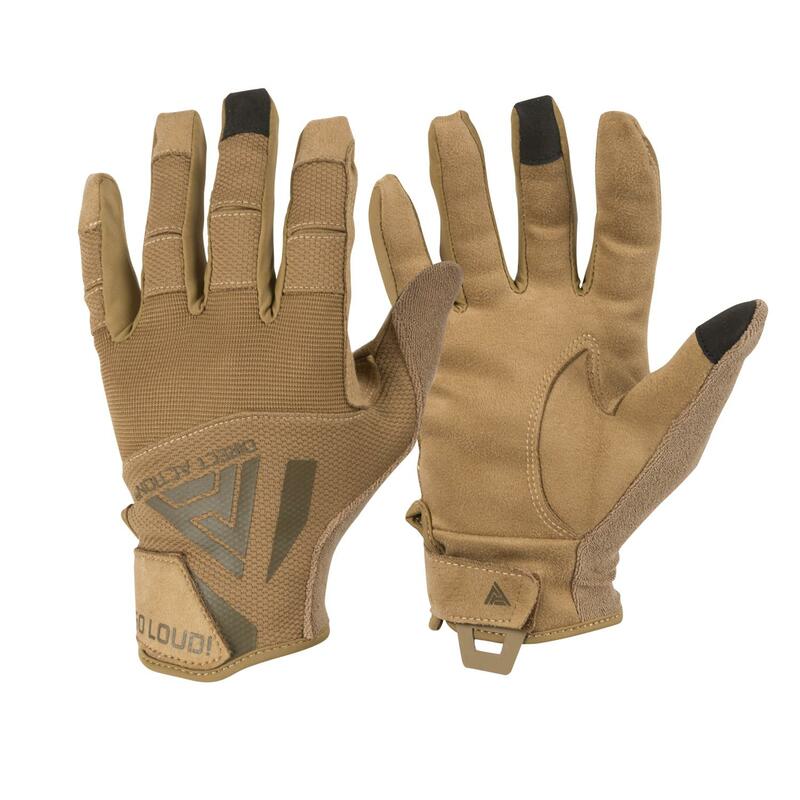 DIRECT ACTION® HARD GLOVES are perfect choice for everyone working with firearms. The gloves not only offer modern look, but also, thanks to used fabrics, provide great fitting to your hand. Synthetic leather used on the inner side guarantees high durability and reliable grip, thanks to its antislip properties. Specially designed slits on the finger joints provide comfort, even during prolonged weapon use. The middle finger and thumb are touch screen compatible. Velcro closed cuff provide reliable, tight fitting to your wrist, and Hypalon® loop not only helps with donning and doffing of the gloves, but also can be used to hang the gloves on your equipment.